I truly believe that some of the nicest people on this earth are people who own, love and train horses. The following horse ranches allowed me to come to their ranches to photograph and "chase their horses" around their pastures for future paintings. Thank you so much for making me feel so welcome and for all that you did for me ( washing your horses, braiding and unbraiding manes, carriage rides, letting me stay at your ranch, etc.). I loved every moment and it was love at first sight for every horse I met. They are all magnificent! I will never forget you or your sweet horses. Piloto is a purebred Lusitano PSL who was bred in Brazil. He is an accomplished FEI Dressage horse with many awards to his credit. year old stallion. 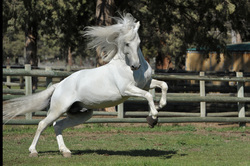 He has spent the rest of his life at White Horse Vale Lippizans in Goldendale, Wa. In the summer of 2015, he reached the Grand Prix level and was Reserve Champion of the Oregon Dressage Society. He has also sired many beautiful, classical baroque foals. Varian Arabians is a very special place. It is a place where many of the most beautiful horses and talented Arabian horses have been produced, trained and celebrated. 70% of show horses winning today carry Varian blood. Of the five Sires of Significance that have sired Sires of Significance, three were bred by Varian Arabians and one is by a Varian stallion. Known for it's sterling reputation, Varian Arabians has over 50 years of breeding success. Varian Arabians has bred nine generations of Arabian horses since importing Bachantka from Poland in 1961. 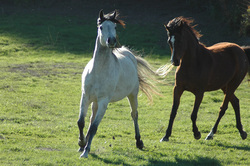 A beautiful 1120 acre oasis located near Oakland Oregon for almost 200 rescued equines. 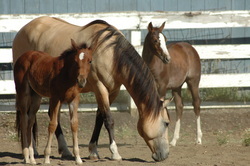 Fisher Warmblood Ranch is located in beautiful Camas Valley Oregon. They are very proud that all their stallions are registered with the American Warmblood Society. At Fisher Ranch they practice Genotype breeding (also referred as hybrid vigor) where they outcross for certain characteristics. Outcrossing correctly produces a great riding or performance horse. Warmbloods are great for competition and recreation for the major international equestrian disciplines of dressage, jumping, three day events and driving. 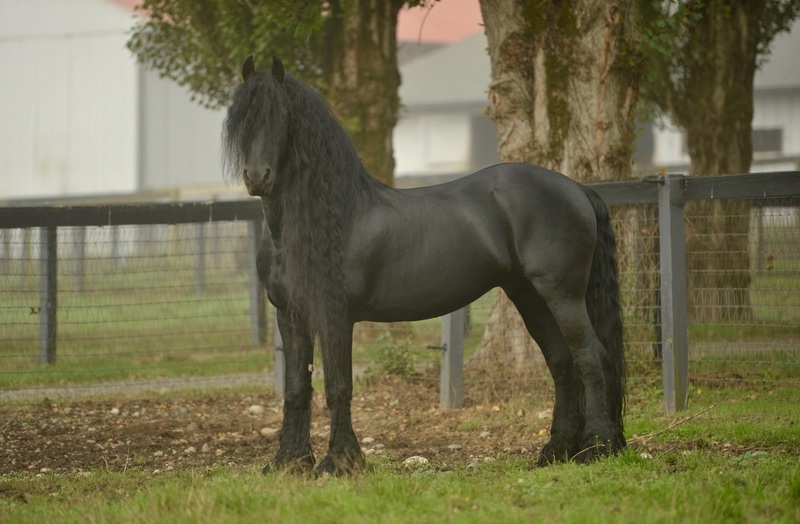 French Creek Farms is located outside Snohomish, Washington, and is the home of The Driving Training Center and the approved Friesian Stallion Rembrandt. He is not only the highest scoring stallion in the registry, but is competing and winning on the NW Dressage circuit at the Gran Prix level. 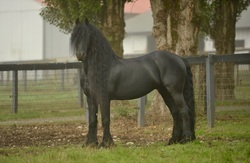 One of very few Friesians to reach and be successful at that level, in the history of the breed. 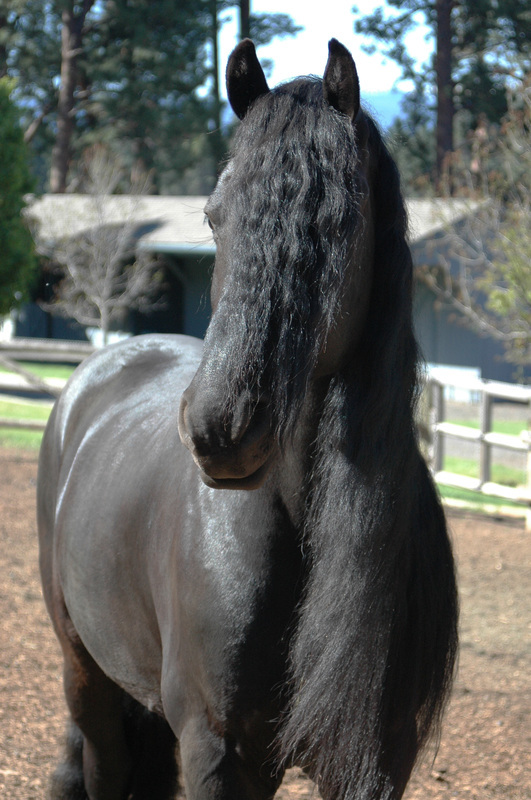 Rembrandt is the Friesian Stallion you see on the home page of my website. The DTC also offers a few long weekend “Learn to Drive B and B Getaways” every year in the Spring and Fall. Check out their website for more info; www.TheDrivingTrainingCenter.com . You will become fully immersed in the world of Driving and Friesians. Besides the learn to drive experience you will be treated to some awesome gourmet breakfasts and lunches. Boarding, breeding, training and sales of quality paint and quarter horses. Our motto is quality not quantity! We are a small breeder raising one foal every year or two from some of the best modern bloodlines. We believe in raising halter horses that ride. Located on the beautiful Oregon coast near Coos Bay. 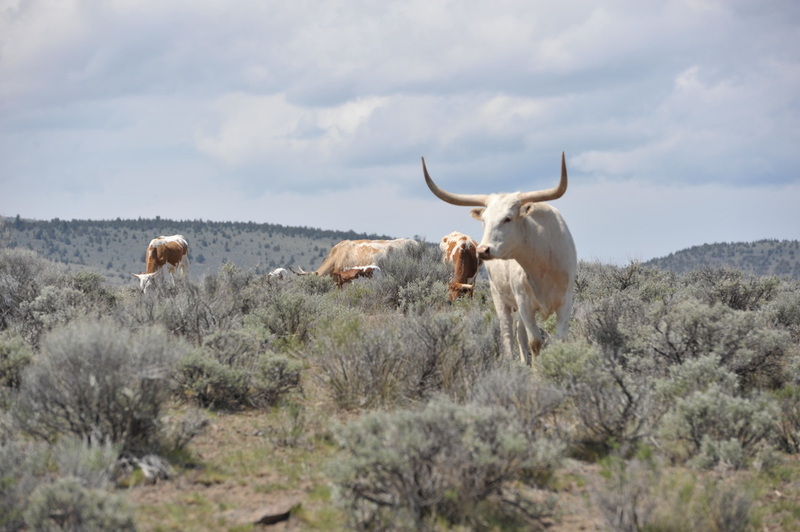 ​The K Bar K Longhorn Ranch is one of the largest Registered Texas Longhorn Ranches in the Northwest. We have won Premier Exhibitor at the Oregon State Fair and Deschutes County Fair. We like the full package longhorns with good conformation, calm disposition and lots of horn. The bulls we use are out of the top producing bulls in the industry. Our ranch is located in the beautiful Millican Valley 30 miles East of Bend. 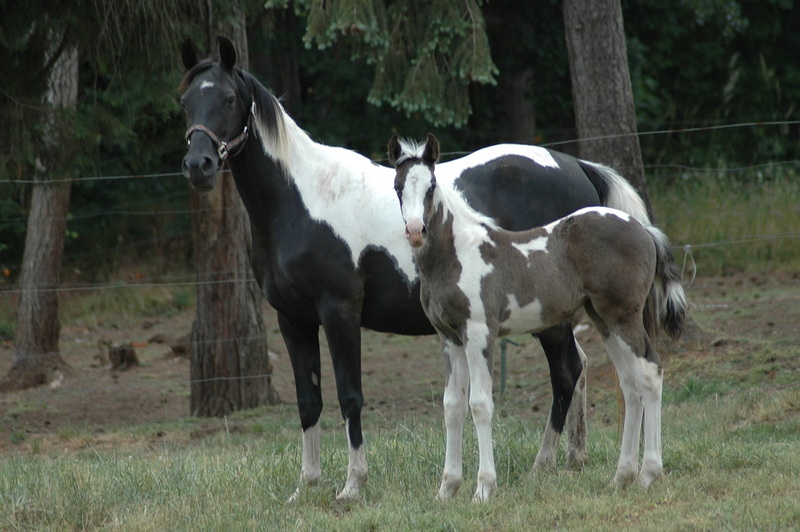 Raising beautiful, quality quarter horses and Paints. No hype just good horses! We pride ourselves in matching horses with owners so every horse sold at the ranch comes with a 30 day satisfaction guarantee! Located near Dixonville just a few miles east of Roseburg on the North Umpqua Hwy. Knapp Friesians were very actively involved for over 20 years in exhibiting and promoting the beauty and versatility of the Friesian horse. Throughout the years hundreds of people visited this beautiful ranch near Sisters, Oregon to see the horses and learn more about the breed. Many thousands of people from all over the U.S. saw the Friesians exhibited in entertainment performances with Clay Maier or watched them compete in dressage with Lea McFarland-Bushnell. One of the favorite performers was Max, who was always memorable for his magnificent mane. The Knapp ranch was my first ranch that I visited and I was lucky to get to visit them right before they retired. Judi and her team unbraided all the manes on her friesians for me that day. It was my first experience to being up close and personal to one of my very favorite horse breeds.